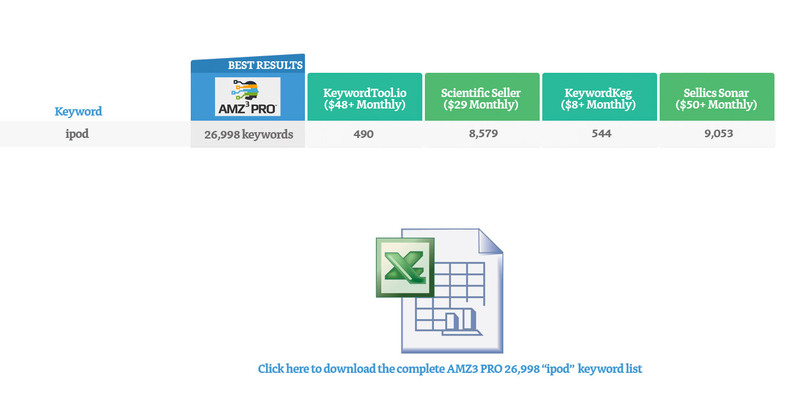 AMZ3 Pro™ discovers more Amazon keywords than any other keyword research tool available today. Using a proprietary search algorithm, you’ll discover more buyer keywords than your competitors, and can rank faster for these hidden terms. Unlike other Amazon keyword tools that just “skim the surface” or pull old data from archived databases, AMZ3 Pro pulls realtime data directly from Amazon. Uncover ALL the buyer keywords so you can group them and target the best groups. Discover ALL the buyer keywords for your market. Include these keywords in your titles, descriptions, and keyword fields. Then start ranking for more keywords at Amazon, simply because you included these terms in your listings. Ignore 99% of SEO traffic tips. They're wrong. We use actual tests to determine which SEO factors are most important. Are you selling via Amazon FBA? Amazon affiliate? Ecommerce store? These methods get search traffic to your Amazon products fast. There really is no trick to making this work. Once you understand the most important SEO ranking factors, and you have thousands of hidden keywords from AMZ3 Pro, it's just a matter of creating content around your keywords to drive traffic to your Amazon products. The big benefit comes when you start getting more sales, and higher organic rankings in Amazon at the same time. This process works over and over to drive your Amazon products to the top of the search results at both Amazon and Google. Just type in your keyword. It's very easy to use AMZ3 Pro, because we do all the heavy lifting behind the scenes, with our software algorithm. We perform dozens of extra steps that other keyword tools overlook. 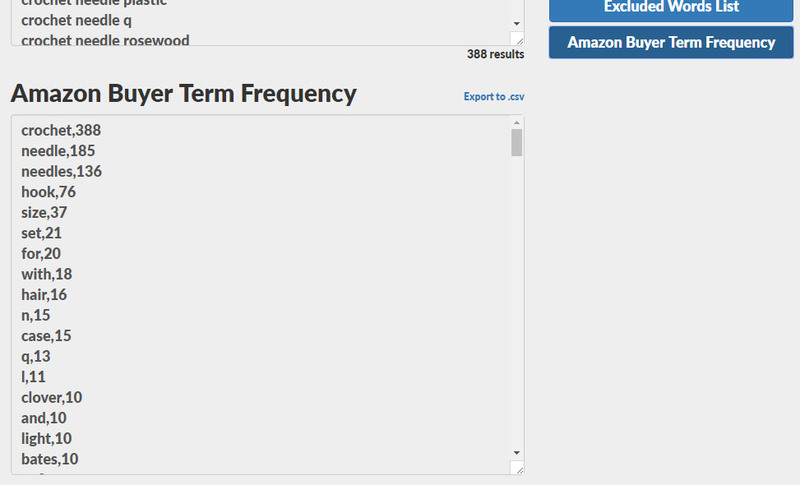 All of the keywords you get back are searches buyers are using at Amazon. All of the results you get back from AMZ3 Pro can be exported into .csv format. You can then import this file into any spreadsheet program, like Microsoft Excel or Open Office. You can also open this file in any text editor as well, like the free tool, NotePad++. In addition to drilling deep into Amazon, we also scour the internet for clues into your market. We then take those clues and search for them at Amazon as well, to see if buyers are also searching for these terms. AMZ3 Pro brings back more keyword than other tools. You'll get back far more relevant and targeted keywords than other tools. We don't just stop with the obvious, broad terms, but dig deep into the long tail of search. Some of the hyper-relevant, long tail keywords will convert at 10x-50x of a generic, broad keyword. Once you have your initial set of keywords from AMZ3 Pro, you can drill even further to find child keywords of the main keywords. This is one way you can take a single keyword and get 10,000+ highly related keywords, at the click of a button. Once you have your huge list of highly targeted keywords, we recommend that you group them using our free tool, KeywordGrouper Pro. This will allow you to see exactly which groups represent the most buyers, and you can tailor your products, descriptions, and titles to get more traffic from these groups of buyers. After AMZ3 Pro has found all of the buyer keywords, it will analyze each of them and cross tabulate all the results to show you exactly the most common words found in all the keywords. You can then insert these words into your product descriptions, keywords, and features, to help you rank for those terms. After AMZ3 Pro has found all of the buyer keywords, you can then process these keywords in our free tool, KeywordGrouper Pro and get back specific buyer groups. Use this segment knowledge to target just the right groups of buyers with your Amazon products (or Kindle books). AMZ3 Pro is a one time purchase. There are no monthly maintenance fees, and you can use the tool to find as many Amazon buyer keywords as you'd like, in any market. You can use it on an unlimited number of searches. There are no search fees or keyword volume fees. Use it to find 50,000 keywords or 50,000,000 keywords. Yes, this will work for that niche. 🙂 The software uses a keyword algorithm, so it will work across all markets. If there is a demand for your product at Amazon, then we can grab the data we need and give you a list of keywords that buyers are searching with. Yes, this works great for finding Kindle book keywords and also for promoting Kindle books. You can get very cheap clicks on Amazon Marketing Services, once you have thousands of keywords your competitors never see. If someone is searching for it on Amazon, then AMZ3 Pro can find it and reveal the keywords. Yes, we do. After you make your purchase, you'll be immediately redirected to our download page. You can then download the software in a matter of seconds. On that download page, there is a link to the AMZ3 PRO Video Training area. You can watch those videos at anytime and learn how to use the tool to find buyer keywords and increase your sales. Actually, no. You can use AMZ3 PRO even if you don't have an Amazon account. You also don't need to be located in the United States to get these keywords from Amazon. At the moment, this tool works only in English. We are in the process of developing a multi-language version of AMZ3 Pro for different countries. All buyers of this version of AMZ3 Pro will receive that update free of charge. Yes, you can use AMZ3 Pro even if you've never done keyword research before. As long as you know a seed keyword, AMZ3 Pro will do all the other work to find highly related keywords around your seed term. Just click "Search" and let the software do all the work for you. Yes, this works on both Mac and PC, because Chrome is available for both systems. If you're system can run the latest version of Google Chrome, you can run AMZ3 Pro. Absolutely. In the video above, we actually show you a case study where we use the keywords from AMZ3 Pro to get cheap 1-2 cent clicks on Amazon. We use this cheap traffic to drive sales of our Kindle Books. You can use the same strategy to drive sales to your products on Amazon. Once you find all the keywords that everyone else is overlooking, you can then dominate the PPC market with cheap clicks your competitor's miss. The only software requirement to run AMZ3 Pro is the Chrome browser. If you would like to work with the exported data, you can use either Microsoft Excel, Notepad, or the free OpenOffice suite or any other text editor online. Yes. If you have a problem with installation or usage of AMZ3 Pro, just create a ticket at our support desk by sending a quick email to support --at-- marketbold.com, and we'll do our best to solve the problem quickly for you. Great question. The truth is, we're still rolling this tool out to the public and doing some price testing. We will probably raise the price in the near future, and we may even move over to a monthly membership payment plan. However, we wanted test and improve the tool quickly, using the feedback from our first users, so a lower price makes sense. Anyone who purchases the tool during our initial launch will receive free updates, even if we decide to go to a monthly membership plan.